Blackjack Grand VIP is the new live variant of the blackjack empowered by Evolution gaming. 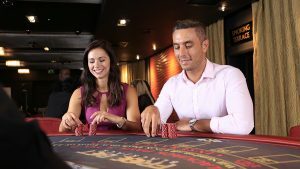 It provides faster as well as richer gaming encounter to both the high rollers and mid rollers. 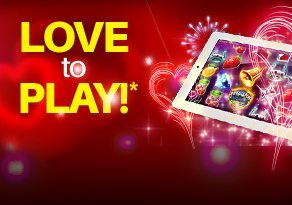 This new variant is fully optimised for offering the colourful playing experience on mobile and desktop devices. This card game provides a wide variety of the live tables to select from. If you love to play at a fast-paced action or want to get treated like the VIP or want to be dealt by good-looking professional dealers, then this variant is just a right place for you. Players can place the side bets, 21+3, Perfect pairs and Bet Behind options. Get easy access to all different live tables. Each live table offers a fixed number of the seats. This exotic variant features professional as well as pleasant dealers who interact with players. Players can also opt for live chat feature for dealing with dealers. These online casino variant actions take place in a real-time along with the real cards. All the above features add more excitement and fun to the game. While playing the Blackjack Grand VIP, dealers will deal in real cards. The players only goal is to achieve a hand which should be as close to twenty-one as possible and should always be better than dealer’s hand, without getting busted. There are various camera angles which gives a better vision and other options involve split pair bets, insurance and double down. The Blackjack Grand VIP is a game which demands skills and with more options, it will improve your chances of winning. The additional bet place on 21+3 will offer players more opportunities of winning with different card combos which comprise of players first two dealt cards and dealer’s faceup card. On another hand, the perfect pair will help players to boost their additional payouts when initial two cards create the mixed, coloured or perfect pair. Blackjack Grand VIP provides a wide variety of options along with the fast-paced action. The players can watch game actions in real time. This online casino variant has professional as well as pleasing dealers and the streams action in high-definition quality.